JAGUAR is in its finest form yet. Gone are the days when people would scoff at its traditional approach to car design and question its reliability. It’s hard to think back to the days when there was only one type of Jaguar buyer – and he didn’t have the best of reputations. Now, the brand’s fans come from all walks and its cars are serious contenders for the likes of BMW, Audi and Mercedes. While the brand has made giant leaps over the last few years, it’s increasing confidence has led it to take bigger risks in markets it’s never really had much luck in before. Take the old X-Type, for example. In fairness, I loved the old Mondeo-in-drag and it sold in droves – but BMW lost very little sleep over it and, when it finally died a death, nobody mourned its loss. This car, however, this gorgeous new-from-the-ground-up XE stood before me, couldn’t be more different. Incidentally, Jaguar won’t like me mentioning the X-Type in this article. As successful as it was this newcomer couldn’t be further removed. And that’s deliberate. The designers have taken all that is good about every new Jag, thrown in some clever new bits and bobs and distilled it all into a car that I’m told is better than the BMW 3-Series it’s gunning for. Better than a BMW? Is that even possible? Well, I’m going to have fun finding out. 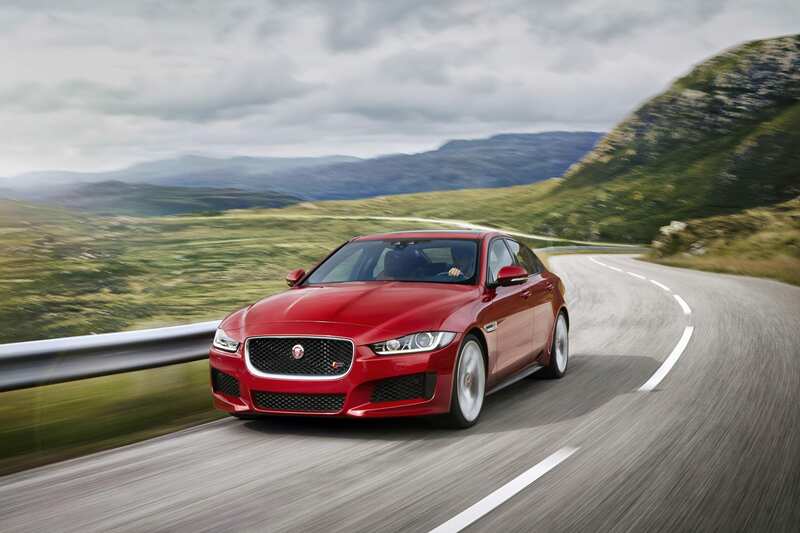 As I said, the XE takes aspects of all that is good about Jaguar and throws it altogether into one new model. 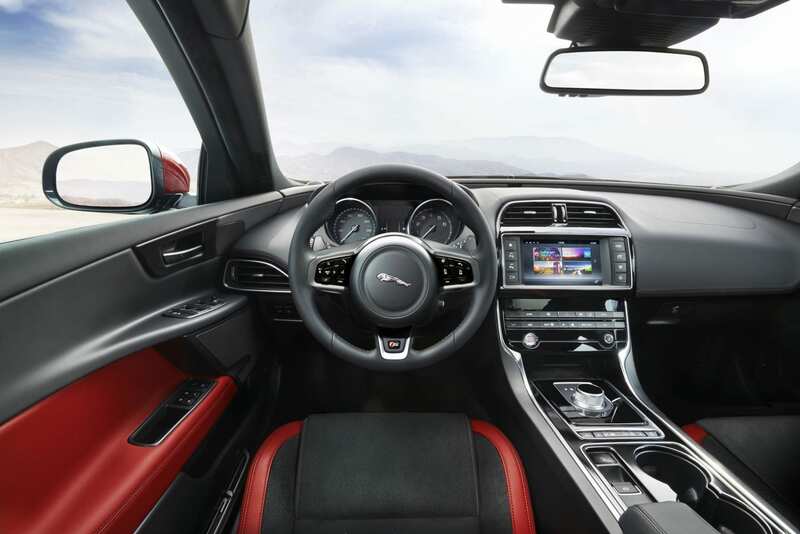 The steering wheel, for example, is identical to the F-Type. The rising gear nob can be seen in most of its other top-end cars, while the beautiful materials the compact yet comfortable cabin is adorned with all feel like they could have been pulled from a £100,000 supercar. I should point out that the lovely people at Jaguar have sent me the fruity one to play with for a week. The XES with its supercharged V6 engine, again lifted from an F-Type. 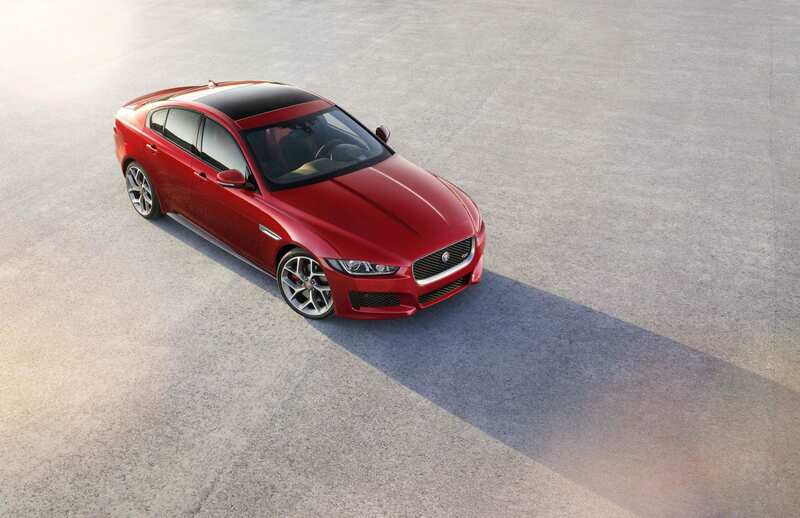 So this is the XE at its very best. But I’m assured that lowlier models with diesel engines and smaller wheels are no-less involving to drive and still boast a very high spec. So the test will be fair. YESTERDAY’S drive home was on wet roads during a revolting storm and I wasn’t able to explore any of the XE’s chassis attributes. No matter though, I’ve got a long drive south to see the in-laws today so I should be able to get the measure of it. 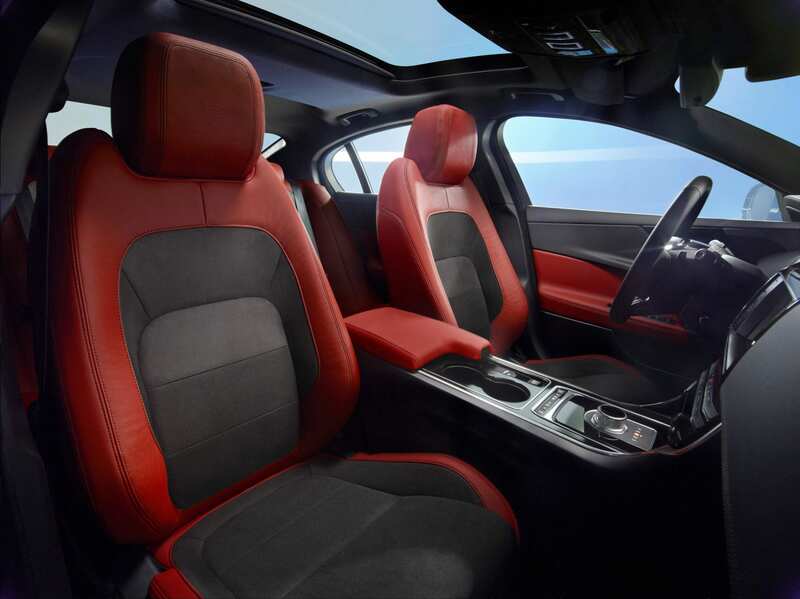 I did notice, however, that the XE is very comfortable and my S model has all the toys Jaguar can throw at it. The latest version of the infotainment system, for example, is wonderful. The new all-round camera setup is fantastic and the self-park system is one of the best on the market. Adaptive cruise control is missing, however, which seems an odd ommission on a car worth £55,000 and if I’m going to be picky the visibility is poor and it looks a bit small in the back. However the boot’s a good size and it does ride surprisingly well, especially once the suspension is set up into its softest mode. A few miles from home, as I reach a slip road for the A50, I decide to open the taps for the first time. The road is still wet but nothing like it was yesterday. Regardless, it was a big error of judgement. Instantly the back end broke away and we wandered straight into a full-on slide. The traction control waded in and saved the day but I was spooked. When the eight-speed gearbox kicks down it unleashes most of its 340bhp in one go and that was a bit too much too soon. I crawled along for the following 80 or so miles, slightly un-nerved. So as we pootled down the M1 I went through all the things I did wrong. I was too eager with my right foot, obviously, I should have acted quicker to correct the slide, shouldn’t have lifted off etc. But the Jag wasn’t blameless. And was we neared our exit at Milton Keynes I drew a conclusion. The Jag’s gearbox made the wrong decision. Because, I assume, it has a frankly rather obscene number of gears it kicked down too early and that’s why I got a dollop of torque when I didn’t need it. So, I put my plan into action and knocked it into sport mode. This, in many cars, would be a very silly thing to do. The suspension is now sharper, the throttle is more keen and I’m left to decide myself which gears to select in a car I’ve only been driving for an hour or so. But my God, it worked. After 20-odd minutes of negotiating the town’s wet roundabouts I’d figured out which gears did what and, soon worked out that I should always be in a higher gear than I would normally choose. First gear, for example, is pointless. I don’t know why it exists. Second gear is fine but be very careful with it while third gear and fourth gear are the new second and third. Fifth gear was fine for most occasions and sixth and seventh seemed a trifle unnecessary and were rarely used. Eighth gear was handy and worth using as soon as I got above about 55mph. So here we go. Attempt two at getting the most out of the jag. As soon as I left the final roundabout and got onto the A-whatever-it-is towards Leighton Buzzard everything changed. I pulled away in fourth, which sounds odd, but the engine was more than ready. The acceleration was brutal and constant, but easy to measure. Far more managable. By changing gear when I wanted, rather than when the car wanted, I could control when the supercharger was on song and when I was ready for a surge of oomph. This is when the XE went from being a very good car to being a dynamic masterpiece. Honestly, I’ve driven plenty of small saloon cars and sporty coupes but very few handle quite so brilliantly as the XE. Even with obscenely large wheels and on greasy roads it is phenomenal. I arrived at my in-laws’ house on a high. In the twisty back-roads of the Chilterns I’d had one of those drives that stay in your memory for life. I was smitten. What a brilliant car. TODAY we’re going out to run some errands and to visit a natural history museum. It’s hardly a journey befitting of a car that’s just made me feel so alive, but I’ve been itching to get behind the wheel of the Jag again, so I insist I drive. My mother-in-law is a tad fussy when it comes to cars so I make sure I put the driving mode into its most boring, comfortable setting. Thankfully, the suspension doesn’t bother her. Apparently, the wife tells me, it is less comfortable in the back but what really ticks her mother off is the lack of space. At one point her brother was also in tow and, frankly, it’s not big enough for the three of them. What makes matters worse, however, is the rear doors are too narrow. Access in and out is tricky, at best. What a shame, the Jag was scoring points up until this point. However, later that day it did redeem itself. We went out for the evening, again in the Jag, and it was a very cold night. Time for a little party trick. About 10 minutes before we headed back to the car I plipped a little button on a second key fob that comes with the car and it fired up a boiler, fed from the Jag’s fuel supply. This works from 100m away or can be activated on a timer but suffice to say climbing into a warm and toasty interior after a cold walk was enough to prompt some very impressed noises from the whole family. It is a brilliant toy. Every car should have one. ANOTHER stretch of M1 to head home on but first I’ve got to get some fuel. It’s tricky to better a range of more than 300 miles in the XE and I’ve been driving like a nun for half the tank. I cycle through to find my average MPG and it’s 28.9MPG. Damn. I’ve got some work to do to make that better. By the end of the journey I’ve got through the best part of another half a tank, but managed 34.5MPG. Better, but still disappointing. It’s going to be an expensive few days. I’M off today to see relatives in Macclesfield. The drive up is wonderful. Mile after mile of pretty, rural A road and the Jag is a remarkably good grand tourer. It’s stereo is awesome, the driver-aids are non-intrusive but work brilliantly and I couldn’t imagine being happier in any other car. My aunt seemed impressed with it too. Funnily enough, the last car I brought to show her was an F-Type Coupe but she seems just as interested in this one. The F-Type is an acheingly beautiful car but the XE is no dog’s dinner. 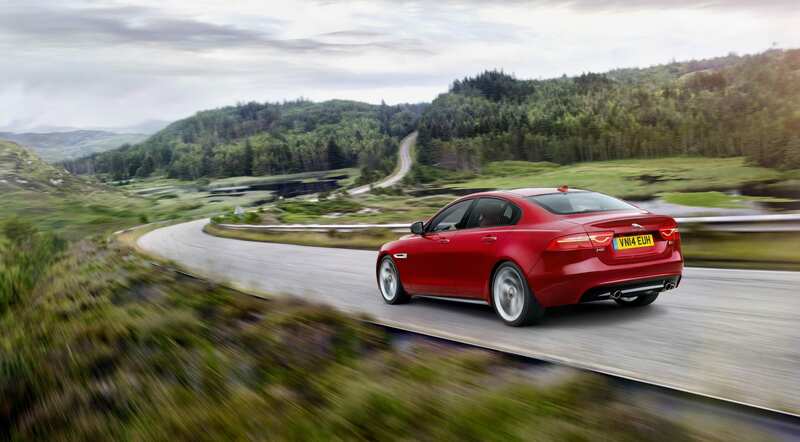 Its styling is unmistakingly modern Jag, but with some really lovely details thrown in. 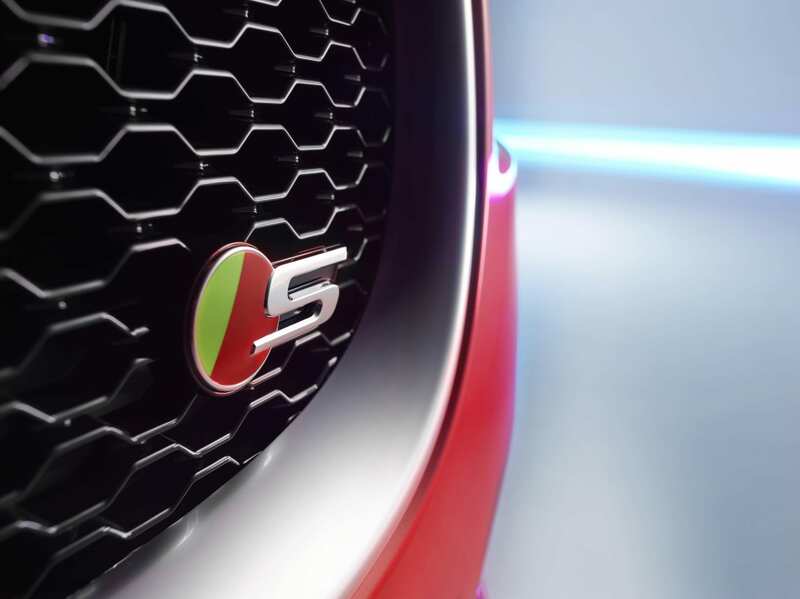 There’s bits of F-Type and, of course, the big and ostentatious details of the S model add to the visual treat. I’ll be honest I’d not taken the time to sit back and admire it, but when you do, you realise just how much of a good job the designers have done. It’s really, really lovely. One gripe I do have of the XES, aside from the rather confusing gearbox and small doors, is the lack of drama. It’s incredibly exciting, don’t get me wrong, and the V6 engine does sound wonderful, but I do wish it had the naughty button the F-Type has that opens up the exhausts and induces a load of popping and banging. Obviously, this car should be more grown up, I get that, but the great thing about loud and shouty modes is you can always choose to turn them off. I just wish, every now and again, I could turn this one on. I’M stuck in the house for most of the day waiting for a man to fix my Sky dish. But that’s fine because I’m running out of petrol money already. Yesterday, in a bid to scare the life out of my aunt, I’d managed to average a pitiful 23.6MPG. I can’t go on like that. I do manage to pop out to the shops, however, and it reminds me that there is also a serious and sensible car beneath all this ostentatious supercharged silliness. As wonderful as the XES is it won’t be the big seller. There are diesel versions of this, lesser petrol engines and base-spec models that are already being snapped up by fleet buyers. What a fabulous company car to aspire to. But does it do enough to knock the BMW, Mercedes or Audi from the tops of the middle-management wish-list? I guess among certain people who know nothing about cars, the Jaguar badge might still give off the wrong image. It might still smack a bit too much of Wilton and walnut and the German manufacturers won’t be too worried. But then there are people who know their cars. People who know how far Jaguar has come and people who will have heard just how good this car is. These are the people that will not accept the default choice. These are interesting people and will lead more interesting lives. They will definitely choose the Jaguar and they will be happier as a result. AS I wait for the nice man from Jaguar to come and take the XE away I ponder which car I would buy if it was up to me. I’ve driven the 3-Series, perhaps its closest rival, in various guises and it’s brilliant. 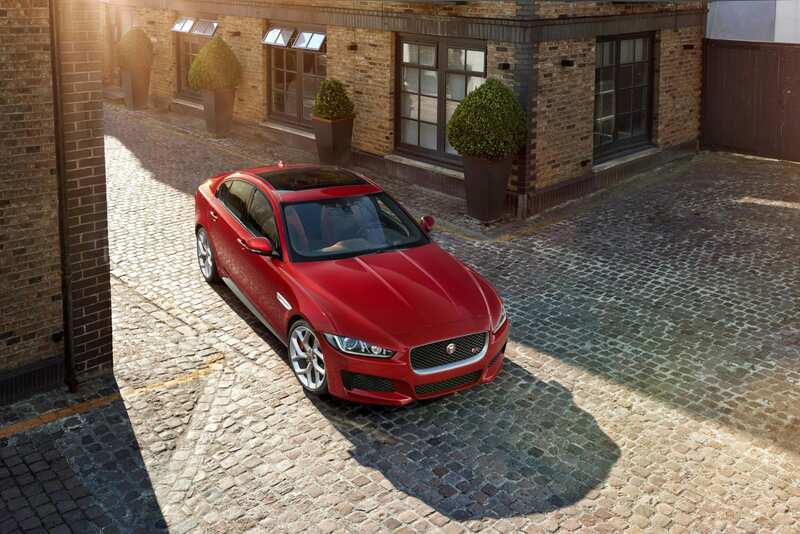 The XE has a few flaws which can’t be overlooked, while the BMW basically doesn’t have any. But every time I sit in a BMW I feel cold. I know I’m about to drive something technically brilliant but there’s no excitement. My heart rate remains the same. 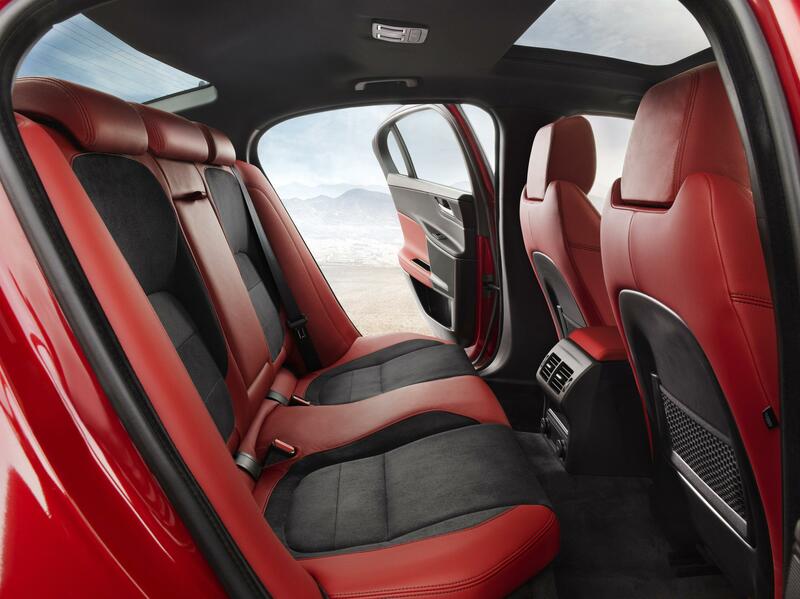 When I sit in a Jag – and this is true of any Jag, not just the XE – it feels special. It feels like it was made by motoring enthusiasts, not mathmeticians and physicists. The XE’s German rivals are very, very good and I like them all. But I don’t like the XE. I love the XE. And there’s an important difference. Of course it’s the one I’d choose. I agree! I love the little XE. even in base form it makes you all warm inside. As where a BMW is as cold as ice!! and had no feeling at all.